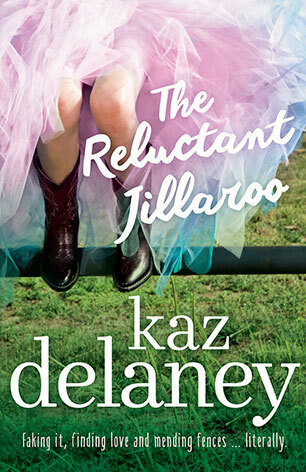 Surf-loving Heidi impersonates her horse-mad twin sister in this rural romance from Australia’s queen of teen, Kaz Delaney. Suitable for teen readers of Rachael Treasure. Heidi Gage is all about sun, skating and waves until her twin sister, Harper, dislocates her knee. If Harper doesn’t go to jillaroo camp at Winmaroo – and seriously impress the teachers – she can kiss her dream school goodbye. And what’s the point of having a twin sister if you can’t switch places now and then, right? Blame it on guilt, or on sisterly love, but before the dust has settled Heidi is heading to the country for ten days of horses, snakes, rats and creepy crawlies and trying to look like she knows what she’s doing. Heidi’s about to learn a lot can happen in ten days. Flying under the radar isn’t easy when you’re falling in love.